**ESTATE AUCTION- NOVEMBER 17, 2018** Personal Property starts at 9 AM- **REAL ESTATE WILL SELL AT NOON! ** OPEN HOUSE, SUNDAY, NOVEMBER 4, 2018 FROM 1-3 PM** Beautiful Rolling 10 Acre Lot! 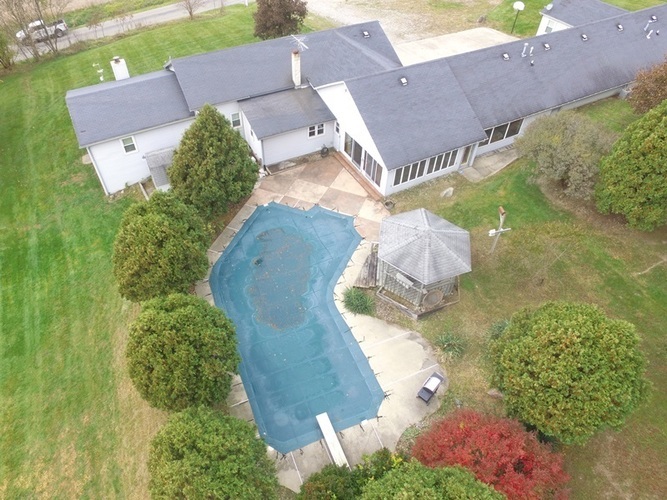 This home features over 3300 square feet, Walk-out Basement, Mother-In-Law Suite with Full Bath and Separate Entrance, In-ground Pool, Geothermal, Oversized 3 Car Garage with Extra Storage. The price stated on this property is the assessed tax value for MLS purposes only. Final purchase price will be determined at auction.